As I said, she had been having a lot of difficulty digesting the concept of the Trinity. This is not unexpected. The Trinity is a difficult concept to grasp, even for Christians. I don't believe we'll ever fully understand it, even after we're with the Lord. However, that doesn't mean we should dismiss the idea as incomprehensible. The woman I spoke with told me that she had been asking Christians to better explain the Trinity for over eight years, and no one had ever been able to give her a satisfactory answer. Eight Years! Most, including pastors, when pressed for an explanation of the Trinity simply responded that "some things are just a mystery". Obviously, that wasn't good enough for her, but to her credit, she kept seeking. Now, as I said, we don't fully comprehend the Trinity. But I believe we can apprehend the basic concepts and show that they aren't contradictory. In my talk with her, I highlighted the fact that a being is a single entity – something that has an essence. A being is a separate idea from personhood, which entails a center of consciousness. I also offered Frank Beckwith's example: a plant is a being with no personhood, a human is a being with one personhood and God is a being with three personhoods. God is single entity, but has three centers of consciousness – which is why the Son could pray to the Father and talk with the Spirit. All of this is to exemplify my point that diligent study of the tough issues in theology is necessary for our evangelism. I haven't yet heard back from my discussion partner, but she said after our talk that for the first time she had received a response she felt gave her some answers. Because I had some credibility, I was also able to share God's plan of salvation with her. Now, she has a more informed view of two aspects of Christianity that she can think about and weigh more carefully. I will pray for her to come to that saving knowledge of Christ. Knowing something about the Trinity allowed me to remove a stumbling block and witness more effectively. I pray that as you continue your studies, you will dig into the tough questions and not shy away from them because they are hard work. There can be much fruit gained from plowing rocky soil. Photo courtesy CollegeDegrees360 and licensed via the Creative Commons Attribution-ShareAlike 2.0 Generic license. 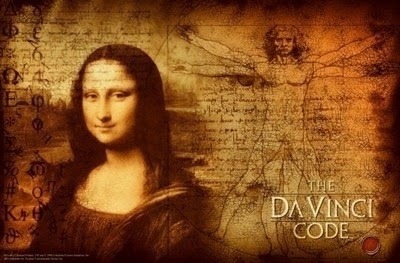 Last week I was invited to give a talk about the problems with Dan Brown’s The Da Vinci Code at a church up in Visalia. Now, many Christians have been awash in these discussions for a while. There have been so many books published on this one work of fiction that it is dizzying keeping up with the titles – and it has caused many people to ask whether we as Christians are overreacting. I don’t think we are, and I wanted to mention two reasons why this is so. First, whenever someone of influence makes accusations against Christianity to a wide audience, I believe we have an obligation to offer a counter argument. As Darrel Bock said in his blog, engagement works. If we don’t offer a counter argument, then we’ve effectively allowed the nonbelievers to win unopposed. This hurts our witness and our evangelism efforts both now and in the future. Secondly, I see these opportunities to demonstrate just how intelligent and justified belief in Christianity really is. In my visit to Visalia, I had the opportunity afterward to speak with a Mormon woman who came out to the event. She told me she had been speaking with Christians (including church pastors) for about eight years and had never received a good answer to how God could be three in one. I talked with her about how those things are not incompatible (see http://www.comereason.org/cmp_rlgn/cmp021.asp for my explanation) and she was grateful. She was looking for an explanation that went beyond “we just can’t understand all the things of God”. My point in all this is to say that sometimes, these popular issues give Christians an open door. By having intelligent answers on something like The Da Vinci Code people are more willing to engage us on other issues – and allow us opportunity to spread the Gospel.